Julia Hall was born on November 11, 1859, in the British West Indies to a missionary family. 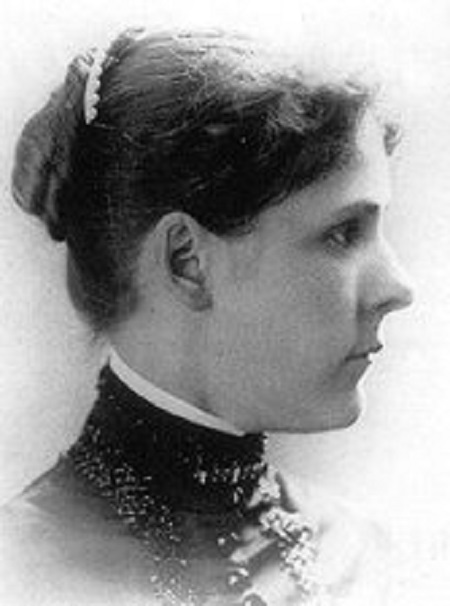 Her brother Charles was born on December 6, 1863, in Thompson, Ohio. Close companions in childhood, they remained confidantes throughout their lives. They both studied chemistry at Oberlin College, Ohio, Julia graduating in 1881 and Charles in 1885. Their mother died in 1885, and Julia undertook responsibility for the care of their two younger sisters and the general household tasks. Charles set up a chemistry laboratory in a shed next to the kitchen. 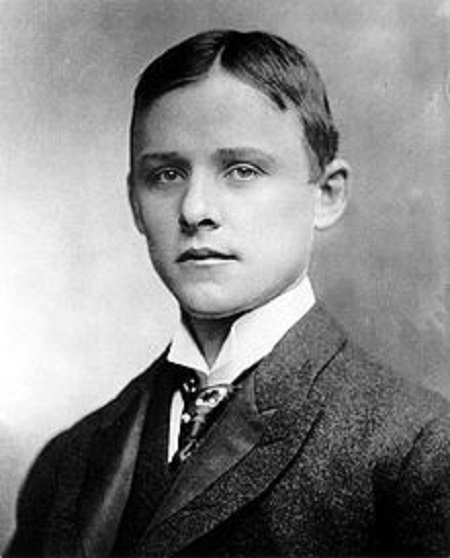 Having overheard Oberlin College professor Frank Jewett declare that whoever invented a way to produce aluminum cheaply would become wealthy and famous, Charles began investigating this challenge. Aluminum is present in the Earth’s crust as aluminum oxide, or bauxite, but separating the metal from its ore was extremely expensive and difficult because of the aluminum atoms tight hold on the atoms of adjacent molecules. In addition to providing scientific assistance, Julia kept careful notes on their experiments and recorded evidence substantiating the dates and results. On February 23, 1886, the Halls discovered that passing an electric current through a mixture of aluminum oxide and cryolite (a mineral containing sodium, aluminum, and fluorine) yielded deposits of pure aluminum. Upon filing for a patent, they were challenged by French chemist Paul­ Louis Héroult, who had devised a similar electrolytic method, also in 1886, and filed his patent request earlier. The Halls were able to prove, due to Julia’s expert testimony, that they had produced pure aluminum earlier than Héroult. With financial assistance from the Mellon family, the Halls established the Pittsburgh Reduction Company, which later became the Aluminum Company of America (ALCOA). Charles served as vice­ president from 1890 until his death. The production of aluminum was commercially successful, and upon his death in Daytona Beach, Florida, on December 27, 1914, Charles left a trust fund of several million dollars to Oberlin College. Among his other beneficiaries were 23 other universities and colleges around the world, from Bulgaria and Turkey to Japan and Korea. Julia died in obscurity in 1925. Charles and Julia Hall made possible the large ­scale production of aluminum, a versatile metal that transformed industry and everyday life with its many applications. The electrolytic process they introduced remains the primary modern method of purifying aluminum. 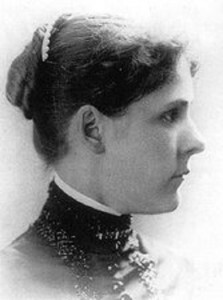 Julia received little recognition for her contribution to the development of aluminum manufacture; it is likely that her work was obscured by an environment that generally overlooked the scientific endeavors of women. Even Charles failed to acknowledge publicly her role in his invention during a 1911 speech about the history of the Pittsburgh Reduction Company. Few modern sources mention her in association with her brother or aluminum production. The electrolytic aluminum production method became known as the Hall­ Héroult process, to credit both Charles and his French counterpart. During the last decades of the nineteenth century, several improvements were made to the process, and the aluminum market was launched. Cookware represented the first aluminum household products. The metal’s lightness and strength also made it ideal for manufacture of early aircraft and internal combustion engines. Throughout the twentieth century, aluminum’s applications grew. Because of its weight, strength, and resistance to corrosion, it is now commonly used in the production of buildings, aircraft, spacecraft, automobile and marine­ vessel parts, food packaging, electrical wire and cable, sporting equipment, tools, kitchen appliances, paints, fuels, and explosives. New technologies for extracting aluminum from raw materials other than bauxite are on the horizon. In Europe and Asia compounds such as clays, anorthosite, nepheline syenite, and alunite are sometimes used as sources of aluminum, although the extraction methods involved have not yet become financially competitive with the Hall­Héroult proms. Posted on March 8, 2015 by Natalie. This entry was posted in Scientists. Bookmark the permalink.